Analysis of user needs and development of a functional specification for the development of the Australian Institute of Health and Welfare's ISO/IEC 11179-based metadata registry project, named METeOR. To view METeOR click here. 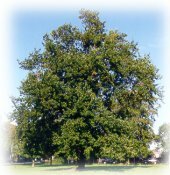 To view an acknowledgement of the Little Oak contribution click here. Contributor to the development of the Ageing Research Online website. To view the ARO click here. Development of a proposed National Minimum Data Set for Emergency Department care (ED NMDS) for the Commonwealth Department of Health and Ageing. Reviews of the Private Hospitals' Data Bureau and the National Hospital Cost Data Collection (NHCDC) for the Commonwealth Department of Health and Ageing. A strategic review of the HealthWiz data product (Australia's National Social Health Database), conducted in conjunction with PHIDU for the Commonwealth Department of Health and Ageing. Development of a management information system and business data warehouse for the Commonwealth Department of Health and Aged Care's Population Health Division. Initial creator and designer of 'The Knowledgebase' (Australia's health, community services and housing metadata registry) as an employee of the Australian Institute of Health and Welfare. Leading development role and specification of National Minimum Data Sets (NMDS) for health and welfare data collections as an employee of the Australian Institute of Health and Welfare. Project Manager of the National Health Information Model (NHIM). Past editor of the National Health Data Dictionary (NHDD). Designer and developer of a database application for the Australian Honours System, including the Order of Australia and the Australian Bravery Decorations. For more information on the honours system click here.